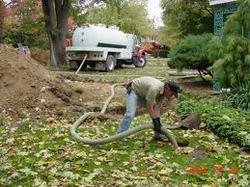 Snohomish Septic Service is Snohomish County's complete septic service specialist. We are a full service septic contractor serving all of Snohomish County and surrounding areas, including Snohomish, Everett, Monroe & more. We offer a variety of services for both residential and commercial customers. Some of the services that we provide include: septic system pumping, septic installation, septic system repair, septic inspections, and more! We are fast, reliable and affordable. Our expert staff will answer all of your questions to help you make an informed decision. We offer permanent solutions for our customers, not temporary fixes! There is no job too big or too small for Snohomish Septic! Our family has proudly provided residential & commercial septic services for the Greater Snohomish County area residents and businesses for over 50 years. Call us for all your septic pumping, repair, installation and maintenance needs.